Luckily, my family lives in the Bay Area so we have been living with them in the meantime. Living at home has actually been a lot of fun. Every Thursday, my sister and I make dinner for our family since since my mom works late. Last night we made 40 clove chicken, roasted veggies, and mac n’ goat cheese. It was quite the production. I love having access to a spacious kitchen and six burner range–something I am likely not going to have once we move to the city. Another bonus to living at home: the garden. My family has a fig tree, apple tree, olive tree, and a variety of herbs. Just the other day, my mom told me we actually had a blood orange tree in the backyard too. I couldn’t believe my ears. I live for blood orange season–which lasts all of two months in the dead of winter. I love blood oranges in desserts, savory dishes, or simply juiced. But my absolute favorite way to eat blood oranges is in an olive oil cake. Deb from Smitten Kitchen posted this recipe last year, and I have been hooked ever since. I know what you’re thinking. Olive oil in a cake? That’s what my family said too, but I turned them into believers. 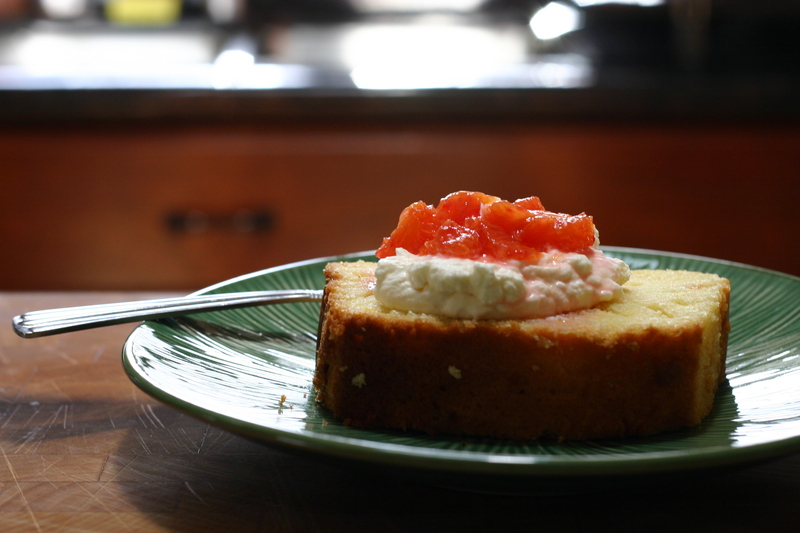 The olive oil combined with the greek yogurt (or sour cream) makes the cake really moist. It also gives the batter a much more complex flavor–way more exciting than your average butter-based cake! Since the olive oil completely replaces the use of any butter, I feel a lot less guilty about having an extra slice or two. This recipe requires you to supreme the oranges–basically a fancy word for releasing the flesh of the orange from the peel and the membrane. I recommend using a sharp paring knife for the job. Check out this video if you need an extra visual. I’ve probably made this recipe over two dozen times and it just does not get old to me. It can be eaten as a dessert with a little whipped cream and compote, but I much prefer it for breakfast–straight up, with a cup of coffee. If you don’t have access to blood oranges, you can always use normal oranges. 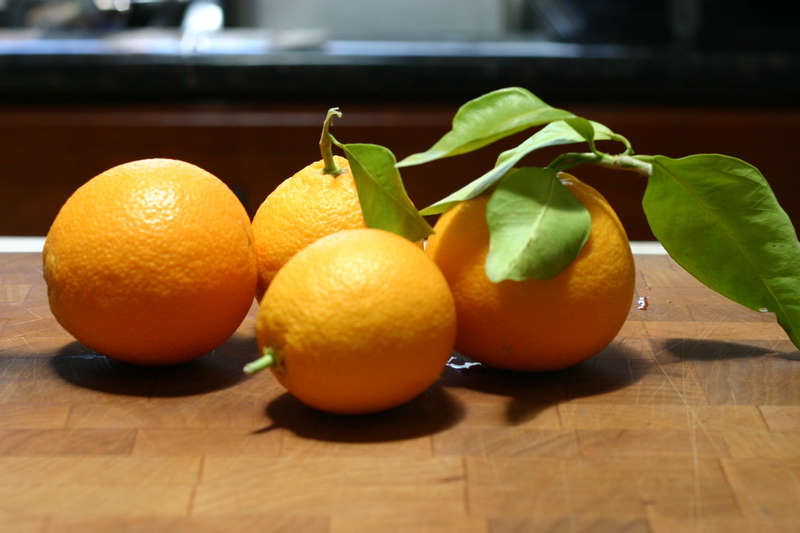 I am also going to experiment with Meyer lemons in the near future. 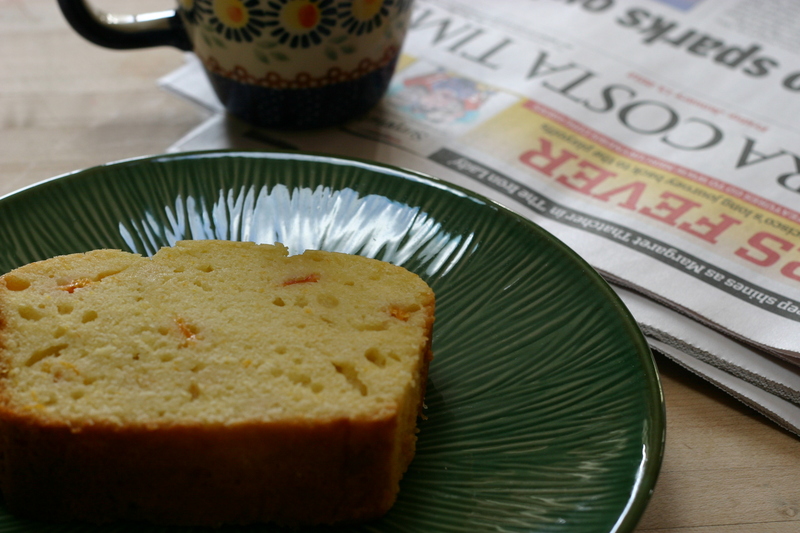 If you have experimented with other flavors in your olive oil cake, I would love to hear about it! 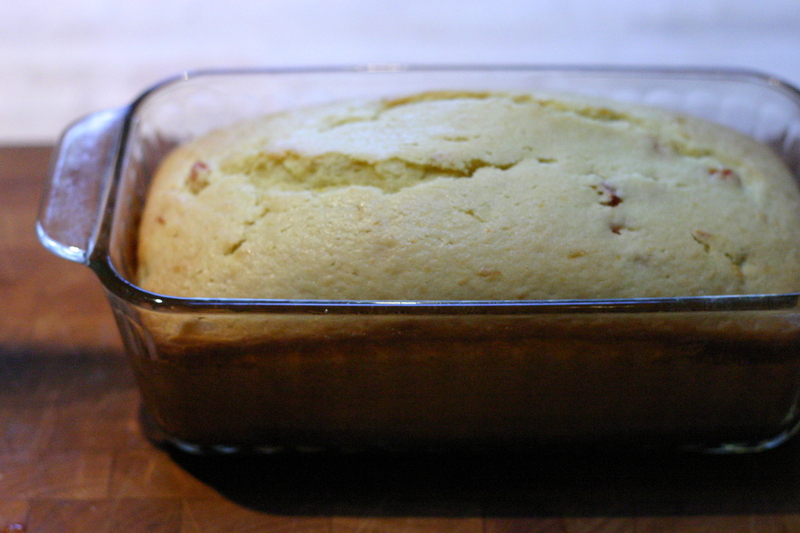 Preheat the oven to 350°F and oil a 9-by-5-inch loaf pan. 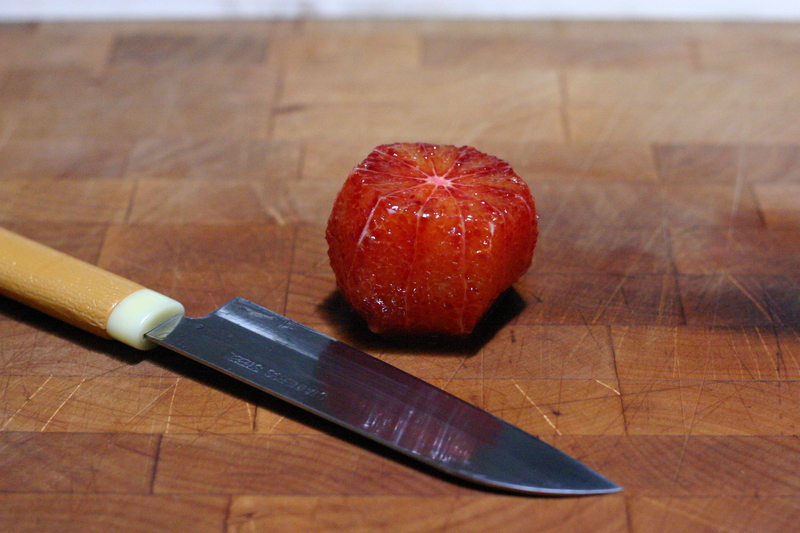 Grate the zest from 2 of the blood oranges and place it in a bowl. Add the sugar and, using your fingertips, rub the ingredients together until the sugar is evenly flecked with the zest and smells strongly of orange. Supreme two oranges: Cut off the bottom and top so a bit of the fruit is exposed and the orange can stand upright on a cutting board. Starting at the top, cut away the peel and white pith, following the curve of the fruit. Slice down one side of a section and the other, using your knife to wiggle the fruit out, releasing it from the membranes and letting it fall into a bowl. Repeat with the rest of the sections and do the same to the second orange. Break up the segments with your fingers and set aside. Halve the remaining orange and squeeze the juice into a measuring cup. You should have about 1/4 cup. Add enough sour cream or greek yogurt to the juice until you have 2/3 cup of liquid. Pour the mixture into the bowl with the zested sugar and whisk well. Add the eggs and and olive oil and whisk until incorporated. In another bowl, whisk together the flour, baking powder, baking soda, and salt. Gently whisk the dry ingredients into the wet ones. Switch to a spatula and fold in the orange segments. Scrape the batter into the pan and smooth the top. Bake the cake for about 55 minutes, until it is golden and a knife inserted into the center comes out clean. Cool on a rack for 5 minutes, then turn it out of the pan and onto the wire rack, right-side up, and cool to room temperature. Serve with whipped cream and Honey-Blood Orange Compote, if desired. For Honey Blood Orange Compote: Supreme 3 more blood oranges according to the directions above. Drizzle in 1 to 2 teaspoons honey. Let sit for 5 minutes, then stir gently. For Honey Whipped Cream: Chill a mixing bowl in the freezer for 10 minutes. 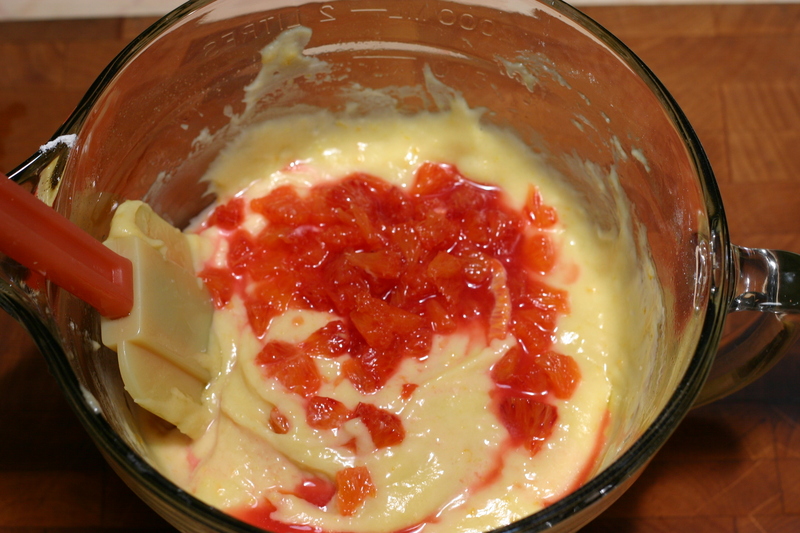 In the mixing bowl, beat 1 cup chilled heavy cream with 1-2 tablespoons honey to taste, until soft peaks form. Do not over beat, as I clearly did in the picture above! This will make about 2 cups of whipped cream, so adjust the ratio of ingredients as needed.